Seen here with proud owner (me!) about to set off for the Standard Motor Company centenary celebrations. Firstly the dilemma. It can't pass its MOT because the engine is too smoky. You can't use it on the road without an MOT, except on the way to or from the MOT station. And the car needed to do 50 miles or so before the engine would run less smokily. Well I'm not going to tell you what I did but it didn't involve an MOT station 50 miles away. I'm not that stupid... Anyway, it eventually passed its MOT at the end of July 2002. The rather embarrassing highlight of this initial period was running out of petrol on the main road in my parents' village, about 2 minutes after thinking 'hmm, I wonder how low that fuel gauge goes?'. Fortunately it wasn't far from home, so I pushed it into a side road and went to get some more. I think the fuel gauge may have been sticking a bit, but it seems to have settled down now. However, empty really does mean 'stop at the nearest lay-by and walk' so I've taken to carrying a can of spare petrol in the boot. When I bought the car the mileage was 70215. By the start of September it was 70536, at which point I went on holiday. I took the car for a spin on the last weekend of September and took it to 70550. All of these journeys were on local roads, though I did brave a 50 mile round trip at one stage. And now, thoughts turned to the matter of carpet. I ordered new carpet from a company who shall remain nameless for the moment, and when I came to fit it I found the back part in particular to be a pretty hopeless fit. At the time I simply left the carpet out, but we agreed that I would lend them the car for a week or so to enable them to get it right, thus helping me to get some carpet and them to get their pattern right. So on the above date, I set off on a long drive (130 miles or so in the end), which I guessed would take about 3 hours given my limited speed during 'running in' and the need to avoid major roads. It actually took over 5 hours, which was a problem as it got dark, and the lights on a Standard Ten aren't that great compared to a modern car, particularly with the single brake light and combined tail lights/red indicators at the back. Not therefore the best vehicle to be driving around strange roads in in the dark, and I got lost. And during the time I was lost, someone in a shiny new tin box decided to overtake me through a roundabout thinking I was going straight on (I wasn't), and he hit me. So there I am, a hundred miles from home in a car I've done only about 400 miles in after an 11 year restoration which actually isn't quite finished yet, and it now has a big dent in the side of the front wing, and the bumper which I had re-chromed at vast expense is badly twisted and will need doing again. Of course, before I could even get the damage assessed I had to wait for the carpet to be ready and then repeat the whole epic journey in reverse (but fortunately without further incident). And to make matters worse the other driver decided to contest the claim, which then dragged on for a year and would probably still be unresolved now if I hadn't eventually given up and settled 50/50. Once the repairs were done the car was put away for the winter, without me really having had the opportunity to enjoy it properly. ...Until, that is, the journey home, during which someone in another modern tin box drove into the back. No dispute here - I was stationary at a 'give way' sign, and he first stopped, then rolled into me at about 5mph - and then apologised, saying he had been 'admiring' it. Rather too closely. So now the back bumper was bent, and would need re-chroming again, but fortunately the overrider hid the worst of the damage (once I found it and fixed it back on), so I was able to put off repairing it until the winter. 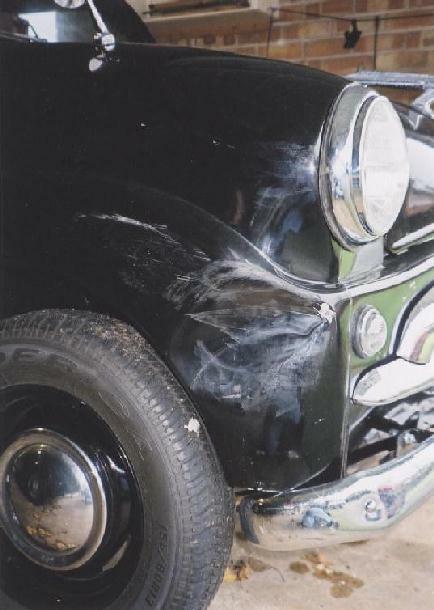 The bodywork damage was limited to two minor dents where the overrider had been pressed against the back of the car before the bumper sprang back out, but this meant that the back panel needed repainting too. 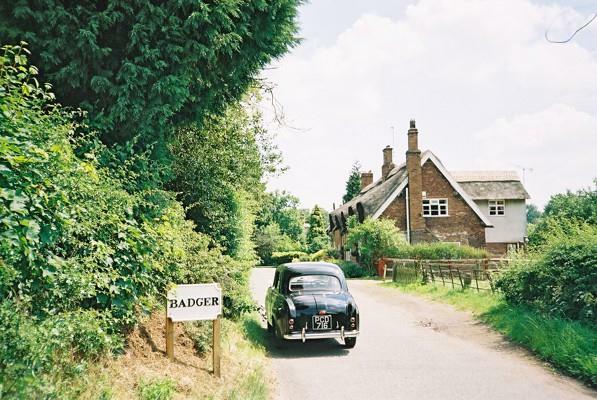 Since then the car has settled down to a fairly leisurely existence, attending a few classic car events each year and generally pottering about. 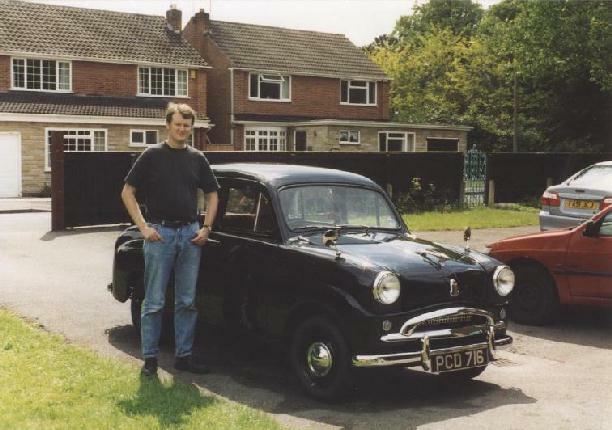 The only problems I've experienced have been a bout of carburettor trouble in June 2005 (which turned out to be nothing more than a blocked jet), and perhaps more significantly an MOT failure in 2006 with worn steering joints. The front suspension is now in bits, so we'll see if the rebuild improves the handling at all. Since I first wrote this section I've been forced to change my opinion. During running in I found the car to be a little sluggish, particularly when it came to climbing hills. During the Coventry trip it seemed to be running on three cylinders, which certainly didn't help, so on my return I spent a long time trying to work out why it wouldn't run properly - eventually finding that the bolt which holds the distributer in place had worked loose, allowing the distributer to turn round and thus completely messing up the timing of the engine. Having fixed this problem and with the benefit of four working cylinders, and a fully run-in engine, the performance is now quite lively, but of course the engine is only 948 c.c. and the gearing is fairly low, so it still doesn't accelerate like a modern car. But once you get going, it will cruise quite happily at 55mph. The official top speed is 68mph but the engine grumbles a bit before then. The brakes stop the car, eventually, but advanced notice is required especially when going downhill. You don't want to be doing too many emergency stops in one of these. You also have to remember that you only have one brake light, and having had one person drive into the back I now spend a lot of time worrying about what is going on behind me. The best method for slowing down is to anticipate the conditions of the road ahead and to select the appropriate gear - which if you think about it sounds rather like good practice anyway, but it's amazing how many people don't. The steering isn't bad, though it does wander around a bit compared to a modern car. And if it hits a pothole it can go anywhere, which is a bit scary. Perhaps I just need to get used to driving a rear wheel drive car. The gearbox is pretty good considering that all I've done is change the oil, though changing down into 2nd can be a bit interesting (I suspect the synchromesh on 2nd isn't what it once was). There is no synchro on 1st of course, but 1st gear is so low that it's useless for actual driving anyway. "I used to have one of these............ what is it?" Pottering around country lanes - what a Standard 10 does best. Photo © P. Hetherington 17.06.06.